1. Download and Copy the GApps and OnePlus One Lineage 14.1 ROM ZIP to your phone. 4. First flash the OnePlus One Lineage 14.1 ROM ZIP from device. Then flash the GApps zip from your device memory. 1. Copy the latest OnePlus One Lineage 14.1 ROM ZIP file to your phone. Complete the initial setup and enjoy Android Nougat 7.1 with Lineage 14.1 for OnePlus One (oneplusOne). It is for OPO? Because I see oneplus2 instead backon in brackets. Please clarify. I see too, but i was able to install this OS on an OneplusOne(bacon)... so far no issues. Anyone try to flash dirty over CM 14.1? Ok, thanks a lot for the info!! I use swiftkey anyway, and could't tell you why Viper is not working, once it does it it's going to be great!! I personally lost a lot of app data, and could't determine why, so I went back to 14.1. Your English is perfect!!! Installed this ROM on my OPO and as of now everything is working fine. I use TWRP 3.0.2 and I always get the message "error 7" when I try to install the ROM. Any suggestions? Sorry - I need glasses - the error code after a failed gapps installation is 70 not 7 ... Sorry! and also got the error 70 and no gapps installed, hmmm. Anyone having troubles with de proximity sensor in 20170109 build for one plus one? fist i would like to thank u guys for ur hard work! I flashed the latest rom (20170114) with the latest Gapps( all clean installs). 1)the pixel launcher isn't has some bugs, cant swipe left ans when i press the Google icon on top left a pop up appears and then closes. 1. Can't be because pixel launcher goes as system app. 2. Did 6 times - no crash. 4. Same on another LOS ROMs. 5. Go to G+ app-settings-contacts-sync. I'm not able to install GApps, it errors out and while flashing the rom I also get a error. both errors are the same as previous posts. Whats the fix? Can't skip the 'copy from previous device with NFC' thing. I don't have other device, any chance of skipping it? where is is coming ? In TWRP > Wipe > Advanced Wipe, wipe everything. Go through setup wizard etc. 1. does it have VoLTE support? 2. does it support multi tasking? 3. will it convert to official os? With latest OS(lineage-14.1-20170123) official nightly, i see voLTE working. I installed lineage-14.1-20170123 official nightly today. I'm not seeing VoLTE option to enable or the functionality of VoLTE.Are you referring to Oneplus One? Sorry, my mistake i misunderstood the voLTE earlier. Am not sure of the part that it will work or not,you could try with 30th Jan 2017 Build. That's OKay. Not a problem. And thank you for the update. 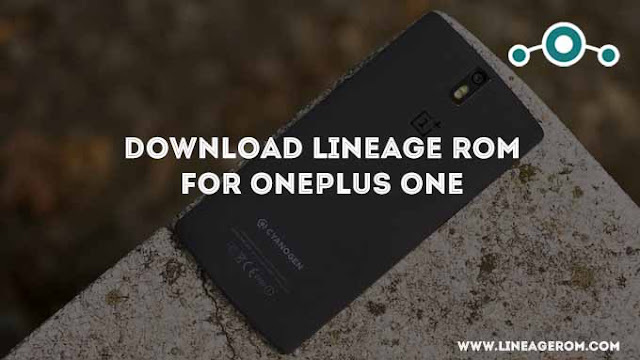 Can anyone upload the video of a walk through of lineage os installed on oneplus one. phn is getting charged very slowly after i flashed it is this normal? I have also had charging issues and battery drain. Checking to see if it's just me. I don't see any charging/battery drain issues. You may now try by updating the latest 30th Jan build. Does this support volte on oneplus one. If I have CM OS 13.1.2, can I use the Cyanogen recovery and the "Apply an update" section in the recovery screen to install Lineage? Or do I have to use TWRP and flash through it? I tried installing according to this guide but after the OS is working fine, the GApps stock package refuses to install due to error 70: insufficient system partition. How can I fix this without totally wrecking my phone? i don't know what i'm doing wrong... i have installed over cm14, i have wiped everything out, and installed fresh, i have wiped and cleaned and restored, and during install, it just says there is some kind of error, but doesn't say which. it's as it's patching unconditionally. i can't remember exactly what it says, but it's E: something. then it says it did it right, but it just hangs on the boot screen for 15 min before the animation freezes. anyone want to help? Firstly, booting takes a lot of time. Secondly the camera when switched to video crashes suddenly. Thirdly, WiFi loses connection though the icon shows it as connected. for SuperSU I am using this https://www.androidfilehost.com/?fid=24686681827313714 and it works well. Thanks, and for the battery? Haven't seen any update since some time, is this fork abandoned ? Has updates stopped? First of all I'm not sure if it's a problem with my phone that I'm not able to see any update menu in my about phone settings, so I keep going to the website to check for an update. I'm facing an issue with the wifi, suddenly stops working, though it shows its connected. Eagerly waiting for the new update.. And anyone has any idea about the official stable lineage os build release? Problem too install last update 20/03/2017. In recovery it doesn't start. I've tried in manual mode as well. Suggestions?